I’ve always been fascinated by astounding feats of memorization. Whether it be card, counting, the playing of a symphonic piece memorized sheet music, or the extended and unaided soliloquy. Back in the day, there was no Tivo–no internet, not even the readily available VHS hookup. So confined I was, sitting ready with a bright red tape recorder from Radio Shack to capture it. And memorize it I did. And my “rat-tat-tat” recapitulation to my peers always got a laugh. This continued with the now-discredited Mike Warnke, whose rebuke/exorcism tirade on his first comedy record (“Tennessee Home and Blankety-Blank”) was a hit within the peer group I carried at the time. Years later, I discovered The Memory Book, written by Harry Lorayne and Jerry Lucas (The former is a prolific card magician that would later influence my career greatly) would place within the realm of possibility amazing feats of mnemonic prowess. Turns out, Aristotle was employing structures like this when he gave speeches. Referred to as Loci, it was a technique of breaking down the essential sections of a speech one desires to deliver, and mentally attaching it to the rooms of one’s own house. Thus, the intro and thanks would be at one’s doorpost, the overview the Living Room . . . and so on, until one’s act of mentally walking through their own house, would be welded to the essential points of the speech. But today, I still can–memorize an extremely long number, or a list of 50 zip codes. And yet, I have no cerebral one-up on you. All one needs to do is put in the preparatory time. The benefits are yours after that. A few years ago, I co-opted C.S. Lewis’ The Screwtape Letters for a soliloquy of my own. I interspersed a few letters as enhancements to a dialogue that I wrote myself. This took some doing to memorize and perform. 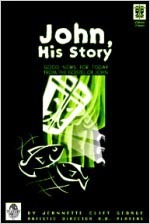 Most recently, (Last Easter), I was the principal narrator in a play, John, His Story. Originally written to cover 27 characters, Jeanette Clift George, the playwright, also engineered the play to have all 27 characters played by FOUR actors. Thankfully, we didn’t do that. We had 13 people. But reading the play, and then going back to John, it made me wonder whether George’s inspiration came from a desire to memorize the entire book for monologue, and ultimately settled for a distilled clarification that is the play as it is (and it is one of the most brilliant, minimalist, and smart Easter themes I’ve ever seen). Now, memorizing the 879 verses that encompass John; 21 chapters–is a rather daunting undertaking. But is it really? By the time you and I are done repeating the lyrics to all the songs that marked us in our prime, we’ve already surpassed that. In fact, think about the obscene amount of latent memorization you may have done simply by listening to that endless nautical venture into echoplex hypnosis, The Wreck of the Edmund Fitzgerald, by Gordon Lightfoot. Come to think of it, don’t. Throw in Hotel California, and you’re well on your way to realizing–it’s just not that big of a deal. I decided at some pont many years ago, that I wanted to do this. Then I heard Howie Tiller had supposedly memorized the whole book, and so I figured, hey. Why not? So in the near future, I’ll be breaking down the entire book to a regimen that, should be attainable by most–if you want to do something like this: Five verses a day, Monday through Friday, with the weekends off for mental rest, and really, the cogitative recovery that solidifies this into the mind. We can do this. I plan on launching this. Soon. Feel free to join me. This entry was posted in CS Lewis, Gospel Of John Project, Uncategorized and tagged C.S. Lewis, mnemonics, Screwtape Letters. Bookmark the permalink.